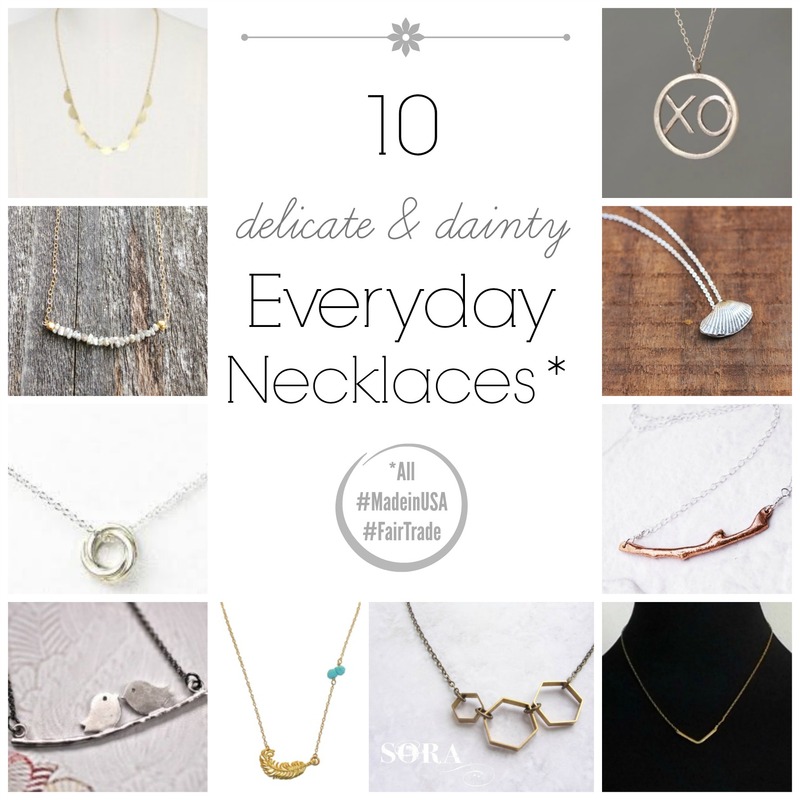 We can all love a good statement piece every now and then but a dainty, everyday necklace is more practical (ugh that word gets me down but it is descriptive) and will get lots more use. I’d be happy to wear any one of these pieces and so might your significant other/friend/mom/niece/hard-to-buy-for sister/etc. While it’s true that many women have a preference for color/metal, try choosing something in a “middle” tone like bronze or rose gold if you’re unsure what your giftee (Giftee! Is that a word?) likes. Michelle Chang “XO” Necklace, $70. A simple and sweet message. Great for mother’s day or any day you want to show a special woman in your life that you care. The chain’s a little longer so it would be a great layering piece. Also available in gold. Made in America. 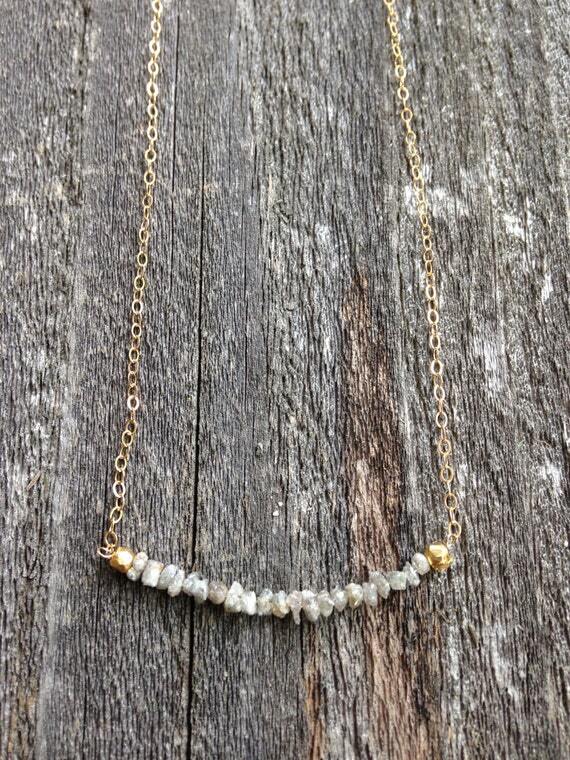 Joy Draveki Gray Raw Diamond Necklace, $75. This piece is just so incredibly elegant, yet subtle enough to go with any outfit – from a black-tie va-va-voom dress to jeans and a t-shirt. Raw diamonds are a girl’s best friend. Made in California. Greenola Brass Scallop Collar Necklace, $50. A little more of a statement but still delicate enough for everyday wear. Fair trade/ethically manufactured. Beautiful & Beloved “Journey” Necklace, $30. Geometric yet elegant. In brass or silver. Fair trade. Dogeared Love Knot Necklace, $54. One of their best sellers for good reason. Made in USA. Sophia and Chloe Turquoise Feather Necklace, $124. For the gal who likes her everyday pieces to be a little more funky. The off-center turquoise piece adds even more visual interest. Made in USA. Jewelry by Harlow Birds Pendant, $33. Put a bird on it! 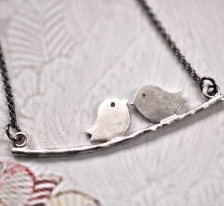 Cute for a mom of two or for your love bird. Made in USA. This little brass piece is architectural and cool but dainty enough to wear with almost anything. Made in California. 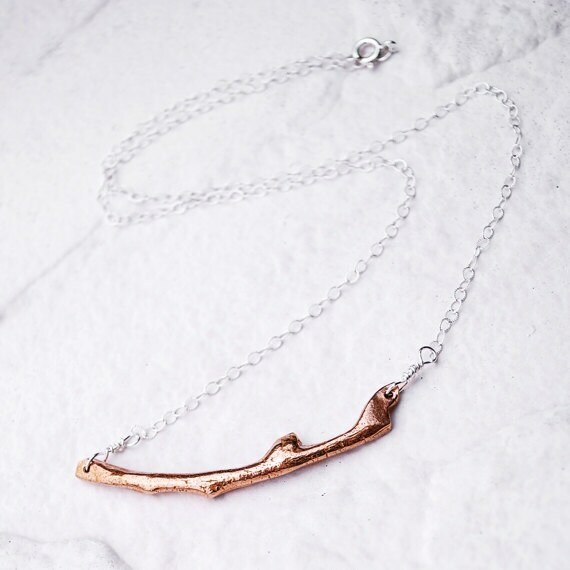 Silver and Gold Bronze Coral (Twig) Necklace, $37. Mixed metals and a chic, organic shape would make this a great piece for any nature lover. Made in Virginia. 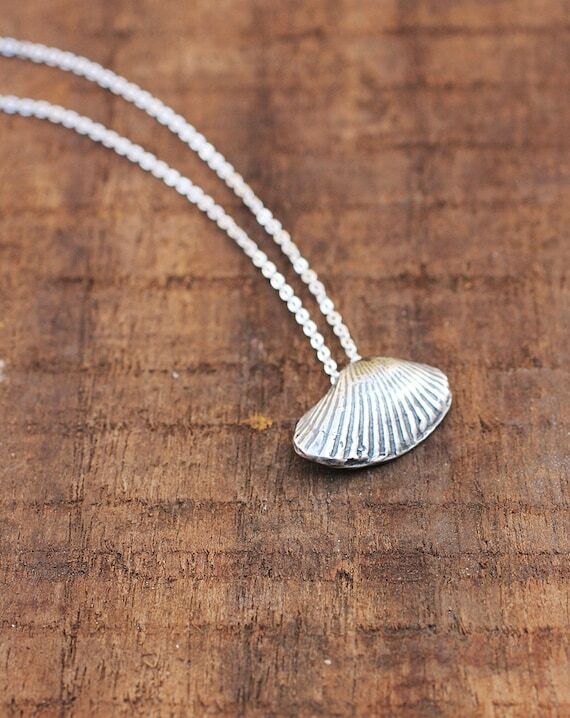 Made from eco-friendly recycled silver. For the gal who lives by the beach (or wishes she did). ooh, I love necklace #2! gorgeous! Love these! So pretty. 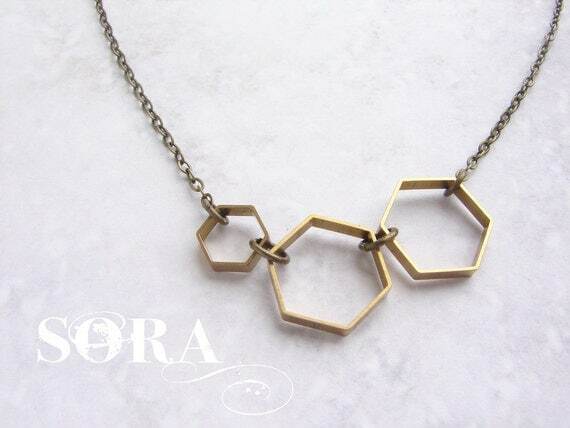 I, too, am drawn to geometric-inspired, simple design in jewelry.